Every May 4th, the pain of World War II becomes real to many families in The Netherlands. On that day, the Dutch flag hangs at half-mast and everybody keeps two minutes of silence. The date is set aside to commemorate all war victims since WWII, however, the memories of the victims and the repercussion of the crimes committed are present every day. Although so many years have gone by, many of the war crimes remain unsolved mysteries. This film explores the quest for truth of the surviving relatives of holocaust victims. The war archives that contain the answers to so many of their unanswered questions are sometimes access restricted. This is frustrating and infuriating for those who are seeking answers. One man, Paul Hellmann went into hiding at the beginning of the German occupation when he was only seven years old. So did his father and grandmother in different locations. Recently he found out that somebody gave out the information that led to the capture, deportation, and subsequent murder of his family in the extermination camps at Auschwitz and Sobibor. He wanted to find out who was the person that betrayed his relatives for money. Since there was a crime involved, he was sent to the National Archives in The Hague. It was there that he found out that at least three persons had been involved in the betrayal. He was also very surprised to find notes that he had written to his father while in hiding. These had been confiscated and were now a part of the National Archives. Not everyone is able to get the answers they are seeking. The request can be denied because sometimes the people mentioned in the archives are still alive. This happened to The Speijers, another family that was looking for answers. They went to the National Archives seeking to tie a few loose ends and get some details about who the betrayer had been. Betrayal was common during WWII. Jews in hiding were always at risk of being betrayed as hardly anyone could be trusted. The Speijer’s request to investigate one particular file was not granted because the perpetrator was still alive and his privacy needed to be protected. Privacy protection ends when the person dies, but while he or she is alive, the archivists adhere to the Personal Data Protection Act emphatically. The department that handles the files of suspects that were prosecuted after the war holds about 30,000 files. 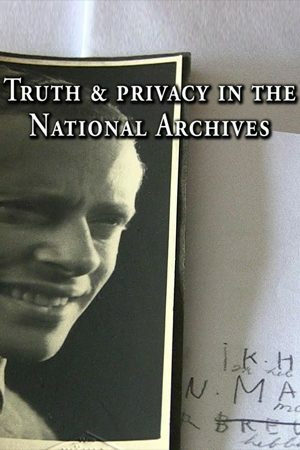 All these files are restricted and they include information about betrayers, Jew hunters, members of the National Socialist Movement, and other criminals. These 30,000 files are proof of the crimes that were committed in The Netherlands. The big question is, should the perpetrator’s right to privacy outweigh the victim’s right to closure? Find out more now.